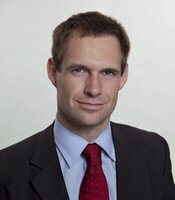 David Black is the most recent addition to Opton & Galton. David graduated from the Colorado College with a Bachelor of Arts in Economics. After graduating, David worked at a civil engineering firm in Utah, doing land-surveying and negotiating with property owners to purchase land for municipal improvement projects. David received his law degree from the Willamette University College of Law. While at Willamette, David focused on courses in the commercial law curriculum and worked as a law clerk for Opton & Galton, and later the Oregon Department of Justice Business Transactions Section. In his time away from work, David can usually be found climbing at Smith Rock with his wife Jennifer. "I was introduced to the law firm of Opton & Galton after my husband passed away, leaving an estate that was a total mess. They took on the challenge of unraveling everything my husband had left undone. I was unaware of what was going on until I came to this firm. Without them I would have lost everything I had and everything we worked for. I am grateful every day for their expertise and knowledge of the law, along with the kindness they showed me, including the whole staff."